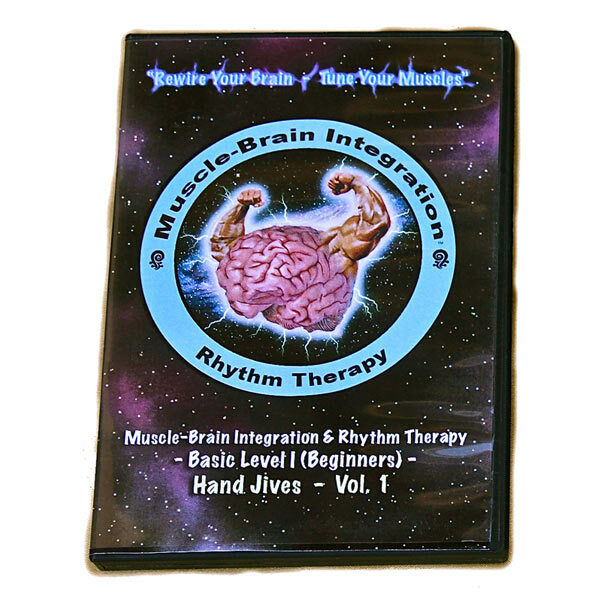 Muscle Brain Hand Jives volume 1 starts with very basic to intermediate brain-body maneuvers using your hands & arms and requiring one’s total attention or awareness. They may be done either silently or performed with finger snaps and claps for the percussion effect. There are 3 general categories of Hand Jives. The first category of Hand Jives is called opp-sets where one hand may do the exact same maneuver as the other hand but in the opposite direction. For example, one hand moves clockwise while the opposite moves counterclockwise, or one hand may move forward while other moves backward. Always in the same amount of time and space. The size of the movement is irrelevant. The second category is called doubling up and this is where one hand may move twice as fast or twice as slow as the opposite hand, again in the same amount of time and space. Example, one hand may flip over and return to starting position twice as fast as the opposite hand, or it may travel the distance of a straight line or other patterns twice while the other just once. The third category is called geometrical hand jives and in this type of jive one hand makes a completely different pattern than the opposite hand. For example, one hand may make a triangle and the other a square, or one hand a square and the other hand a star. After purchase, your confirmation email will include a link to download your video as an MP4 file to your computer. Video resolution is 640×480 (SD), file size 1.3GB. Runtime 62 minutes. 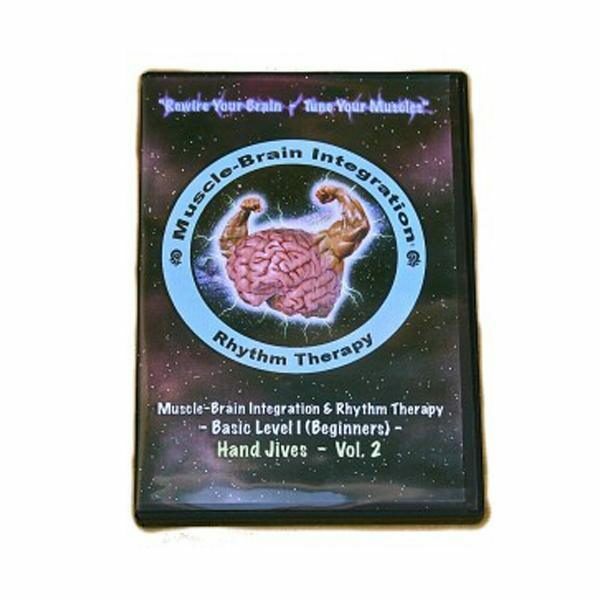 Muscle-Brain Integration (Rhythm Therapy) is a unique art and science of performing specific patterns of rhythmic whole-body movements with precision and grace, done with the specific intent to engage ones total attention sufficiently to shut out all outside distractions and allow one to focus ones attention within. Such focused and conscious attention on the movements, rhythm, and breath serves to curtail the usual thinking process (ie: the internal dialogue), offsetting the restrictions and limitations imposed by language, verbalization, and conceptualized thinking. One can thereby attain sufficient inner silence, stillness, and relaxation to achieve all the DIRECT BENEFITS OF MEDITATION as well as the added benefits of whole-brain learning, sensory-motor re-patterning, and neuro-muscular reeducation. These added benefits can not be accomplished via still or sitting meditation, only through intricate rhythmic patterns done with precision and awareness in movement. To learn more about Muscle-Brain Integration see Movement Medicine website.